Over the years, FatDUX has worked with hundreds of clients around the world. Although we cannot share all our cases with you due to the restrictions of our NDAs, the following examples will give you a general idea of what we’ve been able to achieve for our clients. These examples will give you a general idea of what FatDUX has been able to achieve for our clients around the world. User Experience (UX) represents the perception left in anyone’s mind after a series of interactions between people, devices and events — or a combination thereof. “Series” is the operative word. Some interactions are active: getting out of the rain during a picnic. Some interactions are passive: watching a beautiful sunset will trigger the limbic system to release dopamine (a chemical reward). Some interactions are secondary to the ultimate experience: the food tastes good because the chef has chosen quality ingredients and prepared them well. The ingredients are of good quality because the farmer tends his fields. The crop interacted well with the rain that year . . .
All interactions are open to subjective interpretation — some people do not like celery or sunsets. Remember, perception is always true in the mind of the perceiver. If you think sunsets are depressing, there is little we can do to convince you otherwise. However, this is why designers often fall back on “best practice” — most people respond positively to the sunsets. Every month Net Magazine (worlds best selling magazine for web designers) picks 3 designers from around the world and challenges them to design a website with a particular theme. I was honored to be invited to participate in Net Magazine's build-off challenge to design future telecom site. 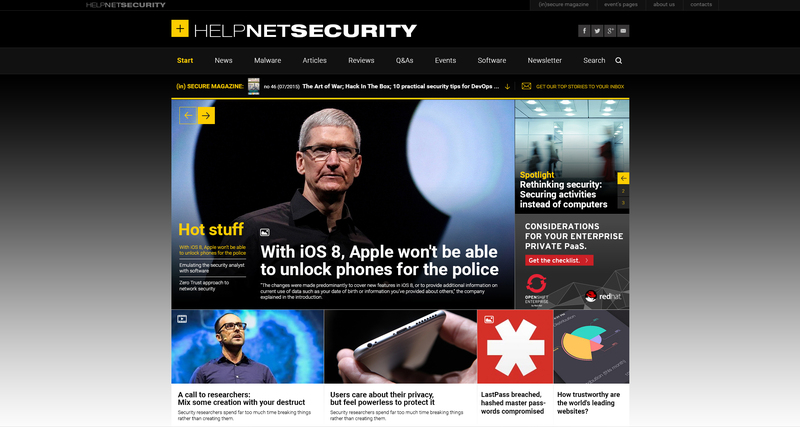 Help Net Security has been a prime resource for information security news since 1998. With this redesign we upgraded the visibility of top stories and introduced a more intuitive placement for related stories, which will enable users to quickly access relevant data. This redesign and technical choices are based on reader feedback and plenty of research. Amazon.com, the world’s largest on-line book retailer, wanted to improve the customer experience. FatDUX had criticized the Amazon site during a conference presentation in Montreal, Canada. Representatives immediately contacted FatDUX, to discuss the problem: a lack of suitable share-reference building on the individual book pages. Amazon’s in-house team took FatDUX’s suggestions and developed an in-page “suggestion box”. Thousands of suggestions were made during the first months of operation alone. The suggestion box dramatically improved the user experience, helped sell more books, and eventually led to a redesign of the basic book-page template. After several years of use, the suggestion box was finally made obsolete by the redesign, which incorporated new methods of obtaining user feedback. Eric Reiss, CEO of FatDUX, conducted a comprehensive service-design presentation to a group of web professionals in Miami, FL. eBay was one of the case stories where Eric pointed out serious problems, particularly with regard to the contact interface. Three representatives from eBay talked to Eric Reiss immediately after the presentation to hear more about the specific problem and to work out a solution. This meeting took place on a Saturday afternoon in Miami, FL. One of the representatives flew immediately back to California, where the eBay team worked all of Sunday to rectify the problem. On Monday, eBay could report back to FatDUX that the problems had been solved. Not only did eBay significantly improve their customer service, FatDUX has been an unofficial advisor with regard to search-engine improvements and the integration of social media. Note: although eBay is not an official FatDUX client, we maintain regular contact with their user-experience team. FatDUX was asked to help Zappos, the world’s largest online shoe retailer, improve their usability. The goal was to increase turnover from USD 800,000 to USD 1 billion. FatDUX conducted an expert usability review of the Zappos site, including 10 key recommendations for improvements to the navigation, site architecture, and graphic layout, plus a wide range of related observations and suggestions for the company’s ongoing business development. Many of our suggestions were implemented by the Zappos in-house development team during 2007-8. By November 2008, Zappo sales had increased to the projected USD 1 billion. In July 2009, Zappos was bought by Amazon for USD 888 million. TÜV Rheinland is perhaps best known for car inspections throughout Germany. However, the organization is actually the world’s largest quality assurance provider. For example, TÜV has quality certified over 40% of the world’s computer monitors. With a product portfolio of several thousand different offerings, TÜV called on FatDUX to help them develop a content strategy that would make it easier for users to find what they were looking for. FatDUX conducted two on-site workshops in Cologne, Germany, and spent much time reviewing website statistics (server logs), customer surveys, use-case scenarios, and other materials. The result was a series of recommendations to the directors of TÜV. Shortly after our final presentation in January, 2008, TÜV merged with two of its competitors in Germany (confusingly also named “TÜV”). This has somewhat slowed the implementation process. However, the results appear to be good and the organization has enjoyed considerably improved economic success. We are proud to have played a part in this development. FatDUX, in conjunction with our sister company, Snitker & Co., was asked to test and evaluate the proposed redesign for the individual country sites of the global telephone manufacturer, Nokia. The prototype site was Nokia Ireland. FatDUX prepared a list of recommendations. These were supplemented by a similar list prepared by a Finnish usability team. In all, roughly 70% of FatDUX’s recommendations were implemented, the prototype was redesigned and in late 2006, the templates were rolled out to countries across Europe. Although we cannot share specific numbers, Nokia reports significant improvement in customer satisfaction and channel sales. Switzerland Tourism contracted with FatDUX in August 2009 for a tailored writing workshop for their content team. During the research for the workshop, FatDUX discovered a wide range of usability problems with the existing design. After the successful completion of the content workshop, FatDUX was asked to suggest improvements to the visual design of the site. Usability experts and content strategists from FatDUX reviewed the website and prepared a detailed presentation. They outlined 10 key problems and suggested specific improvements to the site. As a bonus, FatDUX provided revised page templates for five consecutive content levels. The project is ongoing; the FatDUX redesign has not yet been implemented. The Danish Ministry of Employment is responsible for helping unemployed individuals reenter the job market. However, recent changes in the administrative structure of Denmark, merging of ministerial responsibilities, and changes in the unemployment-compensation regulations have placed new burdens on the case workers who interview those who receive unemployment benefits. Moreover, a maze of different databases, coupled with a highly unintuitive user interface means that error rates were high, compliance was low, and the learning curve for new case workers was extremely steep. The Ministry called on FatDUX to help straighten things out. FatDUX started work by contacting one of the so-called “super users” of the system. This was a woman who had been with the agency since the dawn of the online age and trained her colleagues in the proper use of the system. She also demonstrated how to “game the system” so that the user could overcome the most irritating problems. We also interviewed other users, plus stakeholders within the Ministry. The outcome was a detailed presentation of our findings, our recommendations, and a dramatically redesigned user interface for the core team of 15 IT developers, case workers, and political representatives. The super-users of the system were delighted with our recommendations. The programmers were delighted because we were able to improve the user experience without changing the basic database architecture. And the Ministry was delighted because we did this on time and on budget. Sterling Airlines, a discount carrier based in Denmark, discovered that it was losing almost EUR 200,000 per month because passengers were only purchasing specific seat assignments for the outgoing portion of their journey. FatDUX was asked to review the booking engine and suggest improvements. FatDUX usability experts examined the site in detail and also conducted interviews with several experienced travelers. We also examined the booking engines for 11 other airlines. Our findings were then presented to the management of Sterling. Although the people responsible for Sterling’s web operations pressed to have our suggestions implemented, senior management from Sterling decided not to make any changes. By early 2008, the company was in serious financial difficulty. They declared bankruptcy in October 2008. An industry expert later estimated that the economic loss from the failure to implement our recommendations could have been as high as EUR 2 million. DONG Energy had commissioned a redesigned website from their advertising agency. Although the site was attractive, the management of DONG Energy knew that only by implementing a professional content strategy could they successfully launch their company on the Copenhagen Stock Exchange. DONG turned to FatDUX for advice. FatDUX reviewed the page layouts, suggested alternative labels, and alternative structures within the proposed sitemap. These initiatives served to improve the site’s navigation and to make it easier to find information. Copy editors from FatDUX in Denmark and the United States then edited the proposed written content so that it would be web-friendly and so that there would be greater correspondence between the English and Danish texts. The site was launched and has proven very popular. The stock emission, though, was postponed. FatDUX and DONG Energy continue to work together on web projects. 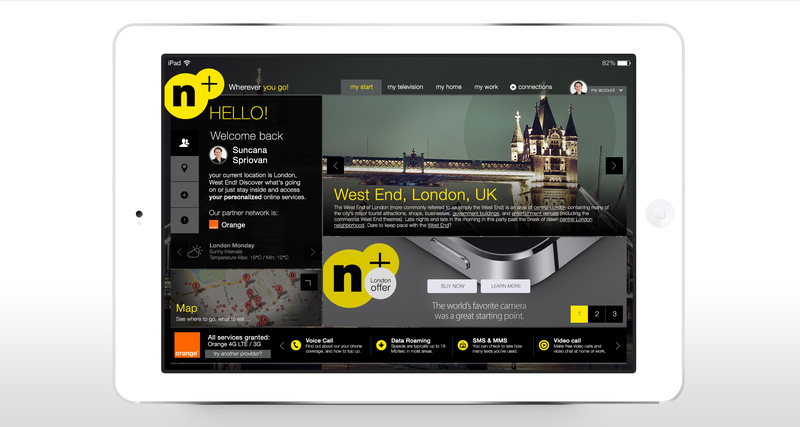 Establish a social networking forum for user-experience professionals throughout Europe. Building on the social-network platform, Ning, FatDUX incorporated a well-known mailing list application, Mailman. This enabled the group to run a discussion list without having to resort to “administrator broadcast”, which is the usual labor-intensive work-around. The group now has over 450 active members from 30 countries — including Central, Eastern, and Southern Europe, which have traditionally been left out of off-line user-experience communities. Sitecore, one of the world’s leading mid-range content-management systems (software), relied on their site to generate leads and serve as a booking engine for product demonstrations. However, the site was seriously underperforming. Therefore, Sitecore contacted FatDUX to help them identify problems and suggest improvements. FatDUX started by conducting a basic usability review of the existing site. Roughly two dozen serious problems were identified and described to the Sitecore leadership. Sitecore asked FatDUX to create new page templates that fixed the existing problems, yet looked enough like the old site that visitors would not perceive this as a “major redesign.” Hence, FatDUX created a significantly revised information architecture, new wireframes, a revised “look and feel,” and detailed page specifications for Sitecore’s own in-house development team. The new site has performed spectacularly. The number of online product demonstrations has increased significantly, as have sales in general. With the introduction of the latest version of the software in June, 2009, FatDUX designed a special demo site for Sitecore. This project consisted of creating a fictitious interior-design company, OfficeCore, plus 30 pages of detailed content, including a complete company history and eight customer case stories. Of course, if you would like an informal chat about a project that doesn’t seem to resemble any of the stories here, give us a shout.